We couldn’t have asked for a more beautiful day, and I wasn’t even running late. 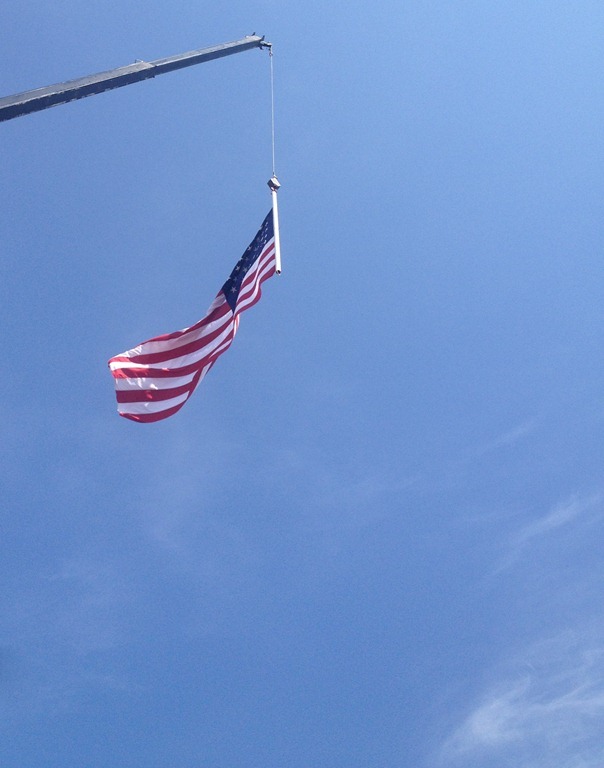 As I drove up the Boulevard to the downtown area, I could see where this flag was to be hanging above all of the buildings as far as the eye could see. 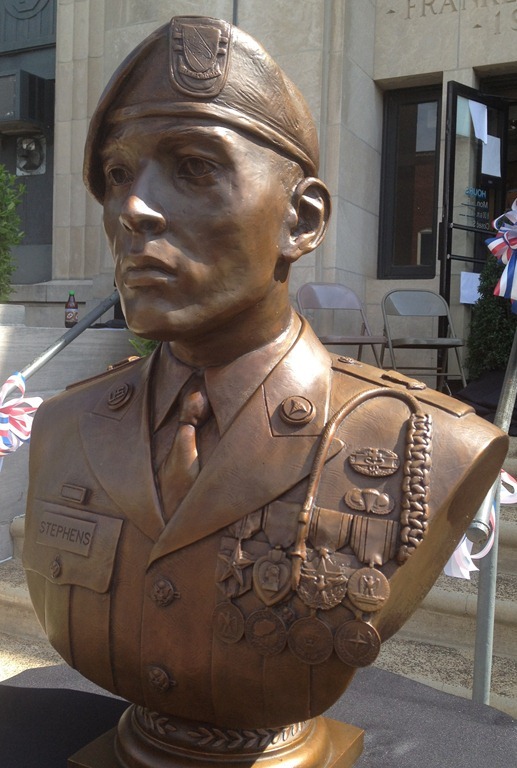 This is a big day for our community, and the scene was set to honor a hometown hero. 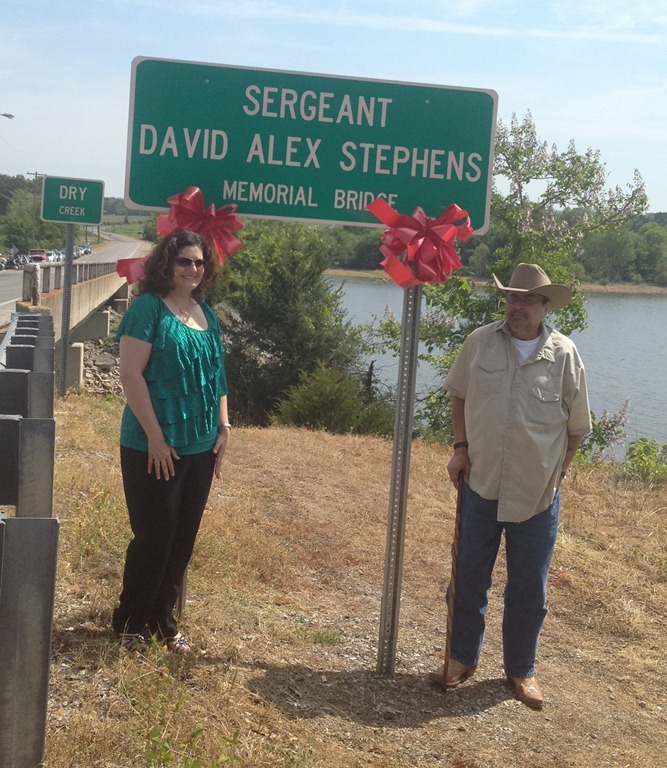 5 years and two days ago, Sergeant David Alex Stephens, (we called him Alex) was killed in Afghanistan during Operation Enduring Freedom, and today we got to honor him with the dedication of a bronze bust at our county seat, and the re-naming of a bridge in his honor thanks to some awesome people at Operation Never Forget. 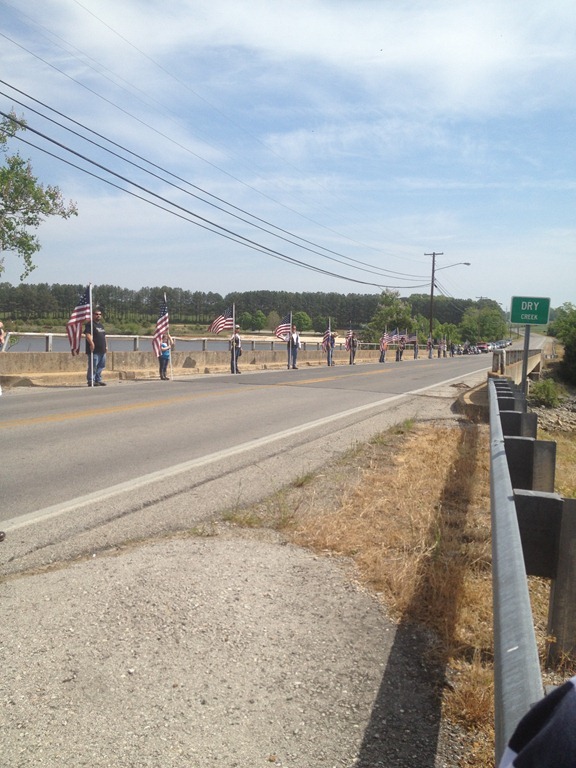 I tried to soak in the feeling of the steady breeze, the sound of flapping of the Patriot Guard Riders’ American flags as they lined up around us, and embrace my fellow friends and the family of this fallen soldier. I found comfort in the familiar hymns that were being played by the bells of the nearby Methodist Church that I used to attend. I was even moved by the soldier who took up post next to the teetering flagpole to make certain that the flag of his country did not fall to the ground. I watched as my good friend took her place at the podium to speak of her youngest sibling as he evolved in all of our hearts and in front of our very eyes. She reminded us that although Alex was originally planning to attend further training, he CHOSE the path of an enlisted Army Medic. She reminded us that although we mourn the loss of a friend, and the country mourns the loss of a soldier, that the most important vacancy his death caused is that of devoted husband and loving father. 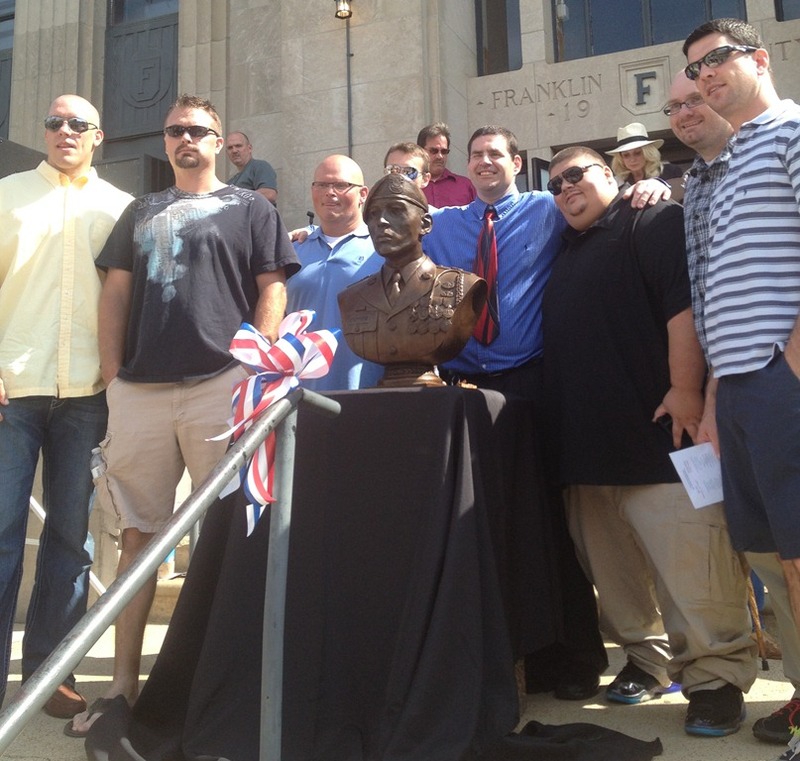 I watched as his best friends huddled around his bronze bust, to pose for a picture with him once again. When I saw them up there I thought of Brene Brown’s phrase “Friends who would move a body.” You get the distinct impression watching those boys stand around him that there was not a man up there who would not have “become a body” for Alex to be here in the flesh today. These are the friends who reflect the quality of friend Alex was. This was a perfect way to celebrate the man Alex was. This was a day to remember that we must NEVER forget! It sounds like Alex left a legacy that will not soon be forgotten and isn’t that what we’re all after in life? Just to be remembered for something? I’m glad you all got to honor him in such an amazing way! 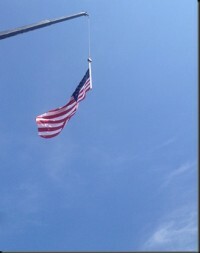 That is a great and beautiful way to keep honor a fallen soldier. Thank you for sharing such a powerful story. What a wonderful way to pay tribute to him. He sounds like he was an amazing person. Thanks for sharing this! Such a beautiful tribute. Thanks for sharing, what a great way to remember him.